We were warned before but we chose not to listen. After all, we have winter for six months a year making our homes more expensive to build and maintain. 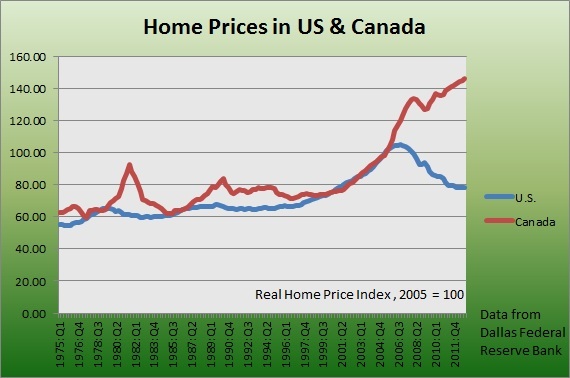 That totally justifies nearly double the cost of real estate compared to our neighbours down south. In fact, this is something to be proud of! It's incredible what Canadians will let themselves believe. I have compared the Canadian real estate market to the real estate market in Germany before and the verdict was clear. 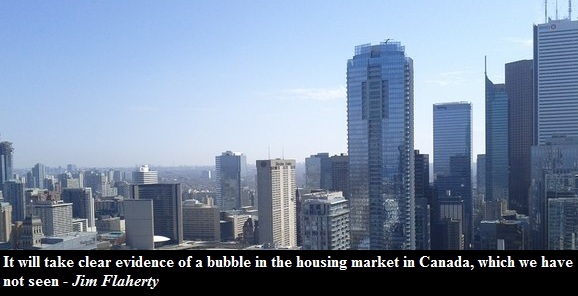 Canada has a housing bubble. 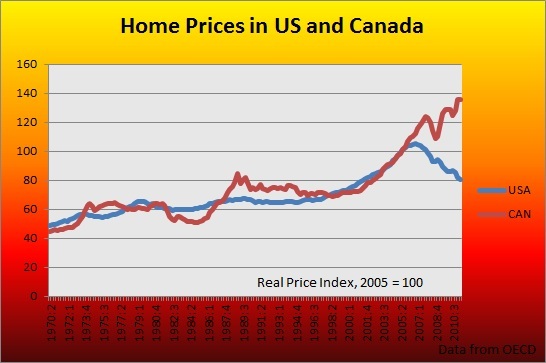 Today, let's take a look at home prices in the true north and home prices of our neighbours below for comparison. I have used two different data sources, one from the OECD, and one from the Dallas Federal Reserve Bank. 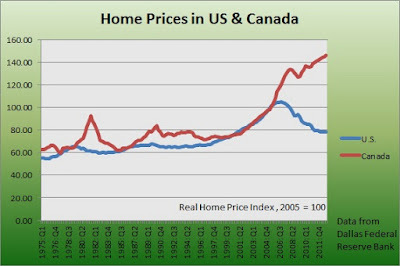 Both data sets paint the same picture: the Canadian housing bubble exceeds the US real estate bubble in terms of price appreciation. The graphs below require no further comments. Note: The two graphs above are based on data from two different sources, using different methodologies. Yet they both come to the same conclusion.